The following is a guest post by our friend James Burke from Big Motoring World. Enjoy! This is when a driver either flashes their lights to allow another driver to pull out, before driving straight into them on purpose, or braking very hard, very suddenly, in front of another car so that it forces a collision. These types of forced crashes are a common insurance fraud on the part of the crash driver. It is also very difficult to prove who was at fault in this type of incident, which is how the fraudster gets away with it. Some drivers try to secure a lower insurance premium by lying about who the main driver of the car is. For example, they might claim the car is being driven by an older, more experienced driver to get lower insurance payments when the main driver is actually a younger, less experienced motorist. This means if the younger driver should get into an accident, the insurance could be invalidated so it’s a very risky position. Car owners dump their vehicles somewhere, perhaps in water, or burning it, and then claim it was stolen to try to get the insurance money. These are insurance scams committed against motorists rather than by them – involving fake insurance brokers who create falsified insurance policies and sell them to unsuspecting motorists who end up being unknowingly uninsured, despite paying the premiums. Other issues which can lead to insurance fraud, even if not done deliberately, include failing to inform your insurer of any changes to your personal details including your address, people on the policy, changes in mileage, not reporting damage to your car, not reporting penalty points or convictions etc.. so make sure you keep all your information up to date. Whiplash is very difficult to prove so doctors have to believe patients who claim this, making it a very common fraudulent insurance scam. As well as the injury claim, it is often accompanied by claims for loss of earnings caused by the injury, boosting the figure claimed for even the smallest of incidents. 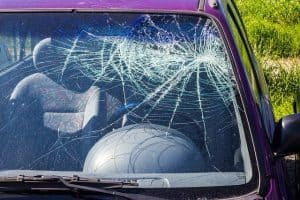 Theft is a notoriously difficult to prove issue so another insurance scam is to smash a car window and then claim there were all kinds of items in the car which were stolen, and claiming for that on the insurance. Unfortunately the cost of investigating all of the fraudulent claims would cost more than the claims themselves and many of them are incredibly hard to prove which is how people get away with them. Disproving them all would end up costing more than the fraud already costs motorists. The only way you can really protect yourself is by investing in equipment like a dashboard camera, and driving carefully, keeping a safe distance between your car and other vehicles, but it’s not possible to predict what someone else might try to do. Insurance scams are one of the reasons why insurance premiums as a whole are on the increase as fraudulent claims cost the insurers money every time and end up causing price hikes for everyone, even if you weren’t the victim of the fraud. To give you an idea of the scale of car insurance fraud, a report from 2014 revealed that fraudulent claims added up to more than £1 billion – that’s around £3 million fraudulent claims made every single day. You can’t do much about drivers who cause deliberate crashes or make false claims of theft from their own vehicles or that their own vehicles were stolen and unfortunately these types of claims continue to grow. 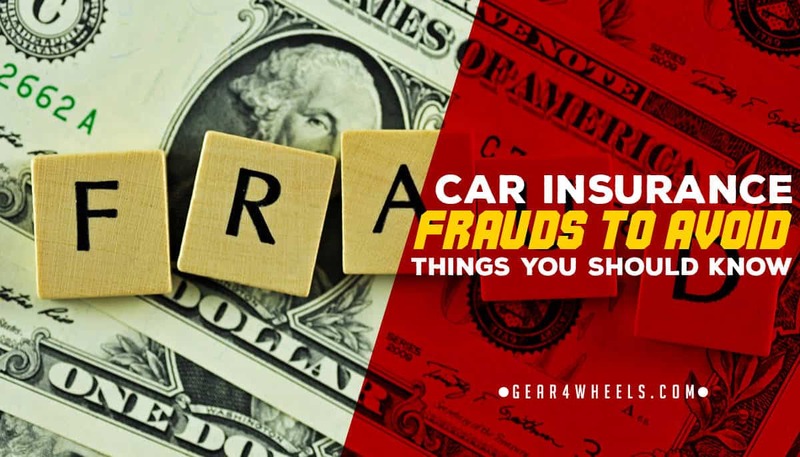 But you can protect yourself by making sure you only buy insurance from reputable and recognized brokers, and by only using reputable and professional mechanics to work on your car so you aren’t the victim of inflated repair costs if your vehicle was to be involved in an accident. Keeping your own personal details updated with your insurer whenever things change and not just at renewal time, will help to make sure your own car insurance is valid and relevant and will make sure you don’t inadvertently end up claiming something fraudulently because your details are wrong. Car insurance fraud comes in many guises, some of it impacting on innocent motorists, but all of it impacting on everyone’s car insurance premiums unfortunately. Being aware that these scams are out there is half the battle so you can remain vigilant and protect yourself. James is a freelance writer who specializes in motoring and automotive field. He writes for Big Motoring World and when he is not filling a blank page on his laptop he spends his free time hanging out in his local coffee shop reading the latest Stephen King book.